ECPs Pay Tribute to Robertson Optical’s Co-Founder and Owner Calvin Robertson, Jr.
Calvin Robertson, Jr., co-founder and co-owner of Robertson Optical, was recently honored at a memorial celebration following his death in September. 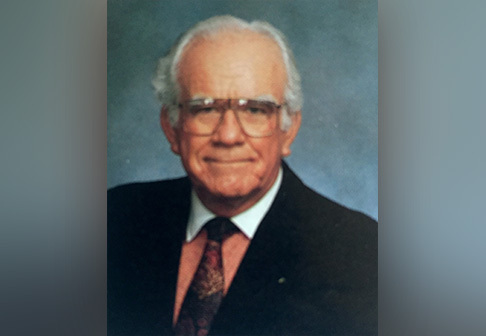 LOGANVILLE, GA — Dedicated optical entrepreneur, leader and volunteer, Calvin Robertson, Jr., co-owner of Robertson Optical Laboratories for 58 years, has died. 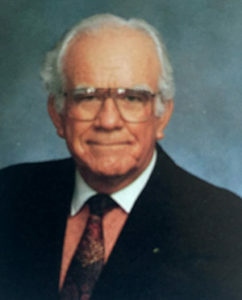 He was president of the nation’s Better Vision Institute from 1978 – 1980, and served as educational chair on the board of directors of the Optical Wholesaler Association in the early 1970s. As chair, he was honored by the International Film Producers of America for his technical direction of the film, “More Than Meets the Eye”, which won a Cindy Award in 1974 and was shown throughout the world. Robertson Optical has been serving the eye care industry since 1958, currently ranking fifth in the nation among independent wholesale lab companies by sales and number of prescriptions*. 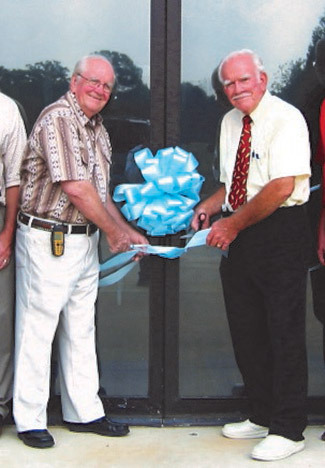 Pictured in 2010, Calvin (right) with his brother, co-owner Richard Robertson, OD (left), celebrate the grand opening of the company’s first full-service AR lab. Richard died in 2015. Calvin is pre-deceased by his father, Robertson Optical founder CW “Jack” Robertson, Sr., who started the business in 1958 in Atlanta with Calvin and other associates. Calvin’s brother and co-owner Richard Robertson, OD joined them shortly afterwards, with the brothers directing the company’s operations for more than 57 years until Richard passed away in 2015. Calvin’s son Chip Robertson is currently a company co-owner, managing Robertson Optical of Greenville, SC. Calvin was tremendously instrumental in the rapid growth and success of Robertson Optical. The company serviced 22 prescriptions the first day, 149 the first week, and fills more than 7,000 a week today. It began with 11 employees, now having more than 100 and serving customers throughout the US. Through the management of several co-owners, lab locations have been in seven southeastern cities, occupying a least 15 buildings. In addition to its current labs in Loganville, GA, Columbia, SC and Greenville, SC; locations have included Charlotte, NC; Orlando, FL; Albany, GA; Chattanooga, TN and various suburbs of Atlanta. In addition to processing thousands of prescriptions, the Robertson team has sold frames and contact lenses, developed the first one-step fining pad for grinding plastic lenses, and started a company which designed and sold jumbo lens trays and frame drawer dividers. With Calvin’s co-direction, Robertson Optical has stayed on the leading edge of lens technology by adding state-of-the-art service equipment for digital free-form surfacing, AR coating, top-of-the-line edging and private-label lens production. Calvin Robertson, Jr., (right) passed away in September 2016. 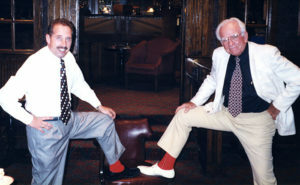 Pictured (left) at a corporate dinner in the 1980s, Robertson Optical’s general manager Glenn Hollingsworth and Calvin, sport their red socks. The socks were a tradition started by Calvin’s father, company founder CW “Jack” Robertson, Sr.. In 2009, Calvin wrote The History of Robertson Optical Laboratories in which he traces the company’s growth over 50 years and its vital role in enabling ECPs to deliver optimal eye care through groundbreaking optical products. Calvin states, “When Robertson Optical opened, my father said, ‘If we can receive 50 prescriptions a day, I’ll be happy’. The same week, one year later, the company processed an average of 96 a day.” The history book outlines the early years of the company’s inimitable marketing strategies, many of which were created by Calvin. 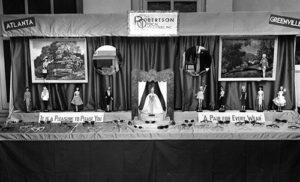 One included his design of an exhibit booth at an optometric convention in the late 1950s that featured a fashion runway of Barbies wearing eye glasses. “A Pair for Every Wear” was the slogan. 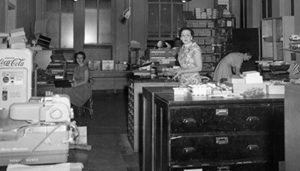 The first Robertson Optical lab opened in downtown Atlanta in 1958 by CW “Jack” Robertson, Sr., Calvin Robertson, Jr., and Richard Robertson, OD. “Barbies had just been launched, so this was more popular than we ever imagined,” stated Calvin. The book also includes summaries of enjoyable times shared by associates, customers and colleagues at eye care conventions, grand openings and employee events, all contributing to the positive company morale that Calvin made sure to instill among his corporate associates and owners. One of Calvin’s unique marketing strategies in the late 1950s was the design of a runway of Barbies wearing glasses in a Robertson Optical exhibit at an optometric convention. Because Barbies had just been launched, it generated significant attention and numerous visitors. In addition to his son Chip, Calvin is survived by two daughters, Debra Parker and Kim Hash, and 4 grandchildren. His mother was the late Lois Robertson. After his death in September, Calvin was honored by eye care professionals, family and friends at a memorial celebration in Loganville.